Moray Club: Who are the Moray Club? We are based in and around the Glasgow/Stirling area and are a small active club that does different activities - cycling/kayaking/hillwalking/mountaineering, and having fun! Bit of background - We were formed some 50+ years ago and have explored many of the nooks and crannies in Scotland; not just the Munros, although they feature a lot! We no longer have Outward Bound connections - but still retain our name. Our group have a great deal of hill knowledge but as always it's 'safety first' - this doesn't mean we don't have adventures. Most, but not all weekends, a trip is arranged with a couple of days notice, and takes into account expected weather conditions. An annual dinner is held in November/December usually a house or hotel in a different hill area. We also hold an annual 'Burns Weekend' - last time we hired 'Lochside' on Loch Duich. If you are interested in coming out with us send your details on the 'comments or information' page, with a contact email/phone number and we'll be in touch. Paradoxically, a club that was formed to provide the opportunity for Outward Bound course members from the Glasgow area to continue to enjoy the adventurous activities after their experiences, should actually conduct their first operations in the English Lake district. It just goes to show how international is our outlook! On 14th November 1964, Alec Watson was introduced to Eric Scott, and the latters old club that had similar aims in Sheffield, at their annual dinner in the Woolpack Inn in Eskdale and joined them in residences in the "old boy's" hut at the Outward Bound School for the weekend. During this, he joined in an ascent of Scafell Pike to show him that 3000-footers were not confined to Scotland. Enthused, Alec got together like-minded mates and they formed themselves into a committee to form 'The Moray Club'. It took its name from the Scottish OB School which was then located at Burghead on the Moray firth. On 16th January 1965, Alec brought his committee of George Buchanan, Charles Murray, Robert Watson and Gordon Macdonald again to Eskdale, where they endured a howling gale on Great Gable, torrential rain, and looked in awe at the torrents pouring off the fells, and agreed with Eric that England had some wild wee hills! 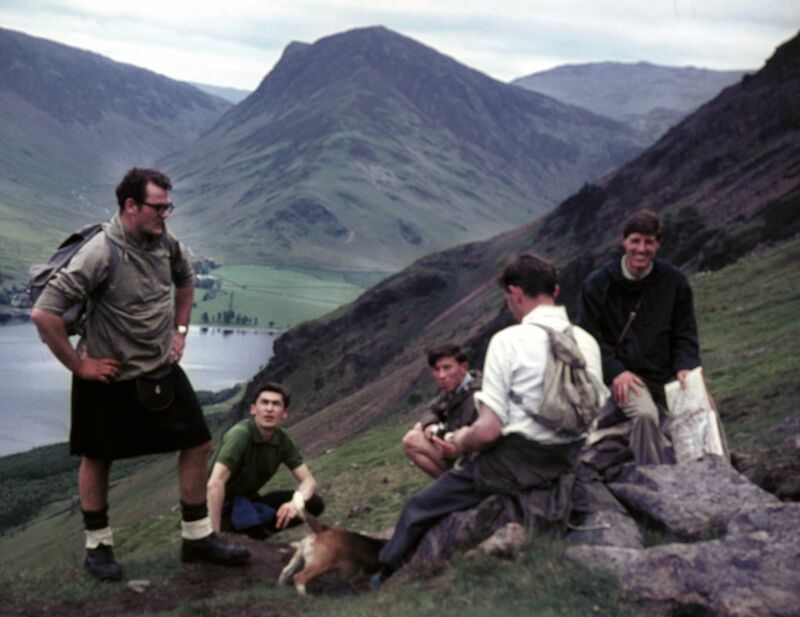 Then on the 12th June 1965 the first expedition organised by the new committee went again to the Lake District, climbed Red Pike, High Stile, Great Gable and Kirk Fell in glorious weather. The club was now in business, and the rest, as they say, is history. In subsequent years membership was opened to girls, and later to include friends and associate members.